There are many ways to reduce our carbon footprint and move towards protecting the environment, but what if we could do this while also preventing automobile accidents, clearing snow without salt and plows, providing electricity, TV, and internet to businesses and homes, and providing clean water all with one new technology? Sounds like something too good to be true, right? Well, there is a chance this could all become a reality. Julie and Scott Brusaw could make this all happen through their startup company called Solar Roadways. Their idea is simple: wherever roads are currently laid, solar panels could go instead. Their original vision came from wanting to solve the problem of global warming, but it is leading to so much more. Julie and Scott Brusaw with a parking lot prototype. Image copyright Solar Roadways. But why build a new road infrastructure to help with global warming? Road projects are intended to improve economic and social well being. Increased road capacity and improved pavements can reduce travel times and lower the costs of vehicle use, while increasing access to jobs, education, and health services. However, along with the positive benefits there are negative impacts on the community and natural environment. Roadways also facilitate global warming through air pollution from fossil fuel powered vehicles. Emissions include particulate emissions from diesel engines, carbon dioxide, NOx, volatile organic compounds, carbon monoxide and various other hazardous air pollutants including benzene. (3) While carbon dioxide is non-toxic to humans at low levels, it is a major greenhouse gas, and motor vehicle emissions are an important contributor to the growth of CO2 concentrations in the atmosphere. However, there is a lot of surface area covered by roadways, and transportation by roadway vehicles is here to stay. Solar Roadways has the potential to address the issues mentioned above. Solar Roadways could change the face of transportation and help to keep the environment clean at the same time. These roads, manufactured partially from recycled materials currently polluting the environment, including trash bags, water bottles, and rubber tires, would generate electricity from solar energy, which would in turn be fed into the grid. Not only would the roads replace the use of asphalt, but electric cars could be charged at charging stations with the energy produced by the panels, making them more practical vehicles. Once electric cars are more practical, they could easily replace fossil fuel-powered vehicles, which will improve greenhouse gas emissions and our dependence on oil. Moreover, these roads can be heated to allow for the clearing of snow and are equipped with integrated LED screens, which act not only as street markings, but can also display traffic and safety warnings directly on the road. After receiving their first government grant in 2009, Solar Roadways has moved this project forward and just recently finished the first parking lot prototype. But what is the science behind this? Could we really drive on solar panels? The roads would consist of a series of intelligent, interconnected panels. Each individual panel consists of three basic layers. Solar Roadways panel concept, top glass layer, and actual prototype. Image copyright Solar Roadways. The top layer must be high-strength and rough enough to provide great traction for vehicles, yet still translucent to allow sunlight to pass through to the solar cells underneath. Solar Roadways has developed a super strong glass with a textured top which allows for traction at least as good as asphalt and can accommodate the weight of heavy trucks. The middle layer contains the solar panels and a microprocessor board to control the LEDs, which will light the roads and display traffic information. Having the microprocessors allows for a lot of great features. For example, each panel can now sense road conditions and communicate that to drivers. For example, if a deer suddenly runs onto the road, the panels can warn oncoming drivers. Also, since microprocessors are like tiny computers, the panels can relay information for quick notification if one of the panels is damaged. The microprocessors also control the temperature of the road surface layer to allow for the melting of snow in the winter. The bottom layer is in charge of distributing the power that the electronics layer collects from the sun as well as distributing the data signals. This layer must be strong and weatherproof in order to protect the rest of the road. 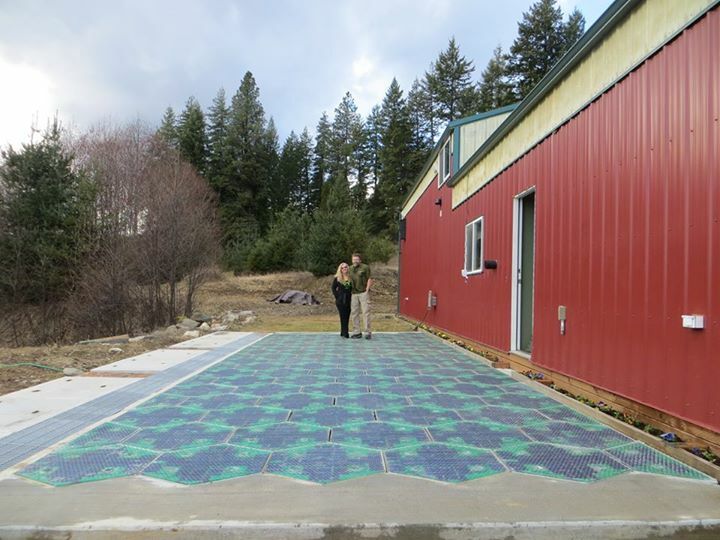 Solar Roadways for clean water? One of the solar roadway features that really stuck out in my mind was the idea of using this opportunity for water management. 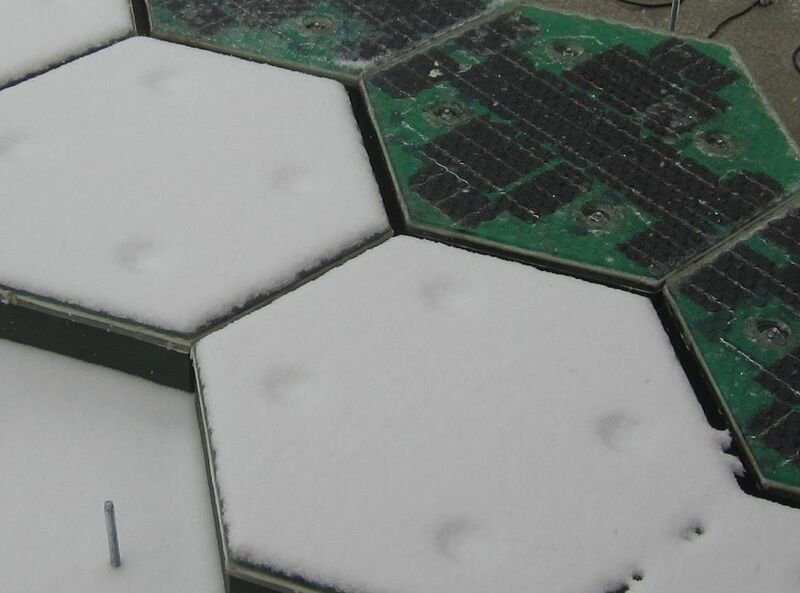 This isn’t an obvious extension, but this concept developed from the idea to heat the road in order to clear snow and allow for the solar cells to collect sunlight in the winter. The issue is, once the snow and ice is melted, the water will run off and freeze, lifting and damaging the road. Solar roadway prototype demonstrating the heating capabilities. Image copyright Solar Roadways. So what could they do with this storm water? Well, rain and melted snow will pick up contaminants such as bacteria, oil, gasoline, and trash as it travels through the streets. This water is rarely treated but will still end up in the nearest body of water. After taking all of this into consideration, one of the proposed ideas for the Solar Roadway is to relocate the water to places where filtered water is needed. Since the roadway is a whole grid of communication, the idea is to store the filtered water below ground, and once the tanks fill to a certain volume, the water will be pumped through a series of check valves to direct it to the appropriate place, such as a water treatment facility. Once treated, the clean water is then pumped through a similar system along the Solar Roadway to the desired locations such as agricultural centers and aquifers. Further research and implementation of this idea is planned for Phase II, and it will be exciting to see where this technology goes! In my mind this is a very innovative idea and if implemented could really do a lot of good for the environment while also making driving safer. I will definitely be keeping up with news on their progress and really look forward to what their Phase II research will bring. My biggest concern is the cost of implementing this idea. I could be convinced that these roadways will eventually pay for themselves by generating energy if I had a bit more information, but it will definitely be expensive to implement to begin with. I am curious to know more about the science of the design: What materials are used for the solar cells? How much electricity can they really produce? How is the top glass layer made to be so strong? There are definitely a lot of advantages, issues, questions, and ideas that come to mind when thinking about these Solar Roadways – do you think we will someday take road trips on solar panels? Solar Roadways Talks by Scott Brusaw. Video 1. Video 2. 1. John F. B. Mitchell. The “Greenhouse” Effect and Climate Change. Reviews of Geophysics 1989, 27, 115-139. 2. Federal Highway Administration. 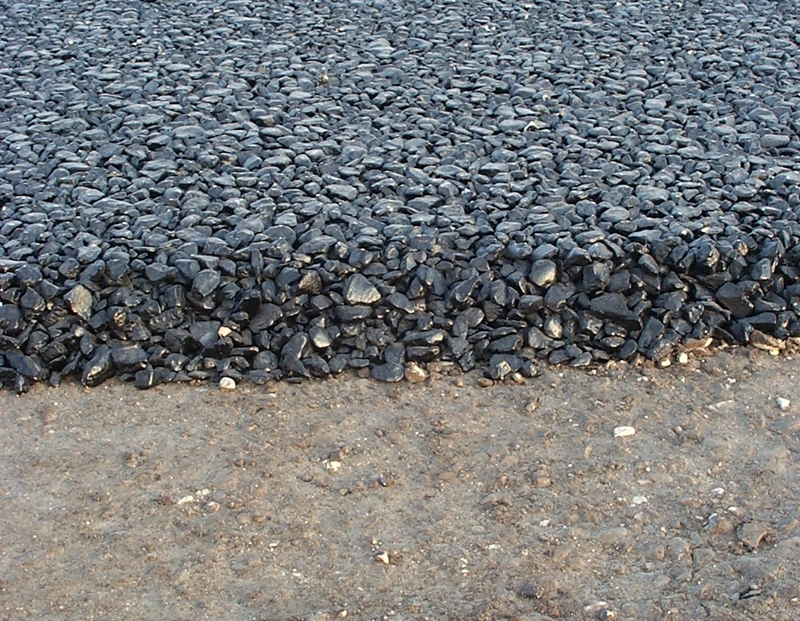 User Guidelines for Waste and Byproduct Materials in Pavement Construction. 2012. 3. EPA. State and County Emission Summaries: Nitrogen Oxides. Air Emission Sources. 2013. 4. EPA. Urban Stormwater Management in the United States. 2008. 5. Allen Burton and Robert Pitt Stormwater Effects Handbook: A Toolbox for Watershed Managers, Scientists, and Engineers. CRC Press: 2001. 6. U.S. EPA. Environmental Impact of Highway Deicing. 1971. Hello, thank you for the article. Road like this indeed have great potential of solving several environmental issues. (We mention Solar Roadways in our FAQ on the website). Kind regards, Jannemieke van Dieren, communications manager SolaRoad Netherlands. Anothter one worth following might be SolaRoad. The idea behind SolaRoad is just as for Solar Roadways to use the road surface acts as a large solar panel. The electricity generated in this way will find practical applications in street lighting. As a pilot, approximately one hundred meters of SolaRoad cycle path will be placed along the provincial road N203 near Krommenie. Before the actual construction of such a cycle path, it will thoroughly be tested in a laboratory environment. In the autumn of 2014, the SolaRoad cycle track will be built. It will then remain in situ there for a number of years. During this time, research will be conducted continuously and the technique will be further developed. Disclosure: I’m working for one of the companies developing the SolaRoad.